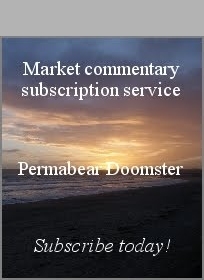 US equities closed moderately mixed, sp -2pts at 2345. The two leaders - Trans/R2K, settled -0.6% and +0.6% respectively. VIX settled +2.4% at 13.12. Near term outlook offers high threat of a test of the 50dma, which will be around 2330 early Friday morning. Broadly though, another push into the 2400s looks a given into April earnings. It was a pretty choppy day in equity land, as the market was naturally twitchy due to the looming healthcare bill. 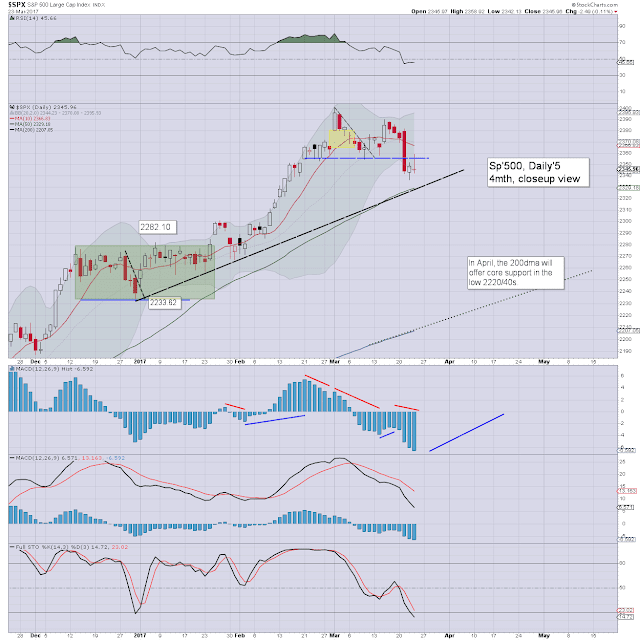 There was some distinct weakness into the close, with the spiky daily candle suggestive of further weakness on Friday. On balance, no sustained price action under the 50dma. 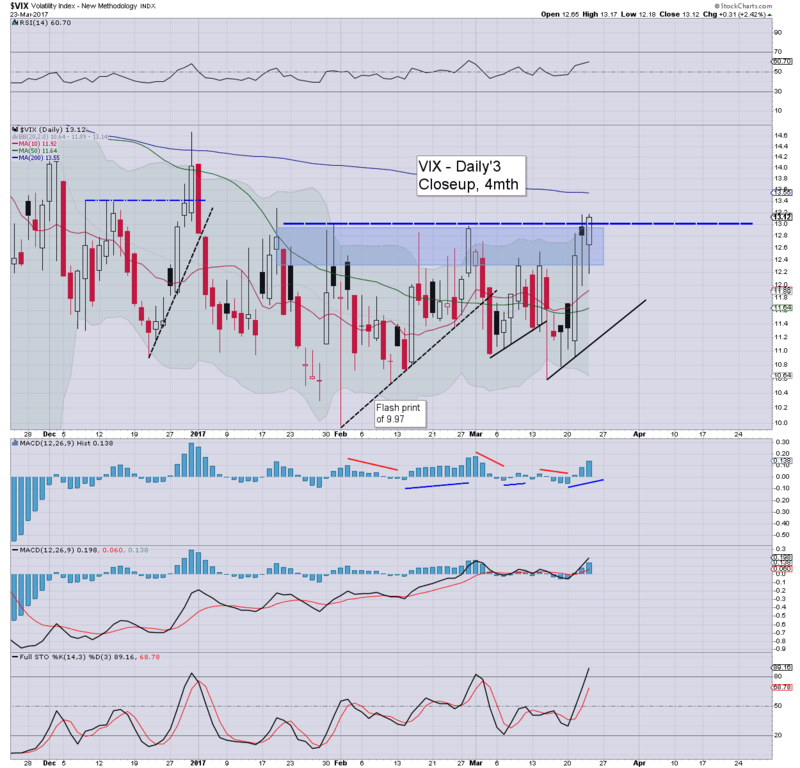 VIX saw an intra high 13.17, as today was the first time we've seen the 13s in 'normal trading' since Jan'19th. Clearly, if the main market opens sharply lower tomorrow morning, 14s will be due... 15s on a stretch. I'm pretty much a cheerleader for Trump... and was one of those few people who foresaw his presidency a long... long time ago. Yet even Trump is entirely failing to address the core problem within American healthcare. I'm refraining from making any comments on yesterday's madness in the city. Suffice to add... this afternoon's sunshine was something of a relief.